How fabulous is a drink which cool and refreshes in the summer, in the autumn, is warm and comforting? 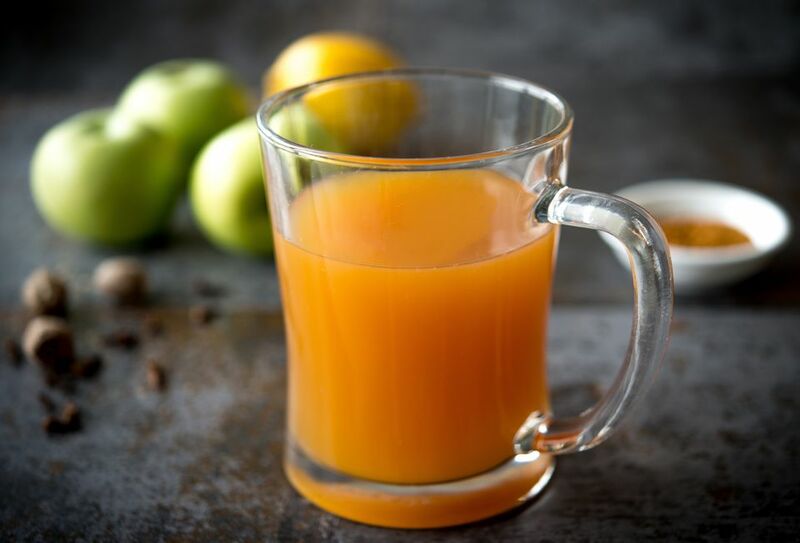 Apple cider is that drink, and the good news is not only is the recipe one of the easiest ever, but it also takes no time to prepare. To get the most from this recipe choose a variety of apples to create a good flavor, vary them between crisp, sharp Granny Smiths, sweet Pink Lady or any of your favorites. The best (and easiest) way to make the apple cider is by using a slow cooker, pop the ingredients in, turn it on and leave for 6 hours and the cider is ready. If you do not have a slow cooker, no worries, this recipe can be made in a pan or a dutch oven, though you will need to keep a closer eye on these to make sure they do not boil dry; details of using these is below the slow cooker recipe. The spicing of the cider is a matter of choice, the headier spices such as cinnamon, nutmeg, and cloves will give you the deep warmth more needed in the colder months. Using less of these and switching them out for lighter tastes such as coriander and mace, perhaps a little lemon or lime peel will produce a more summery feel, especially if served with apples pieces and mint. There are no hard and fast rules—experiment to see what flavor combinations you love most! Chop the apples into large chunks, core pips, peel and all. Put them into the slow cooker and cover with cold water. Put the spices into a small square of muslin or cheesecloth, tie with string pop the spice bag into the cooker and attach the string to the handle. Bring the water to a boil and once reached, turn the cooker down to low and cook for 6 hours. The cider is ready when the apples are falling apart. Turn the cooker off. Taste and sweeten with the agave if the juice isn't to your taste (you can also use honey or brown sugar if you prefer). Remove the bag of herbs, Using a fork or a potato masher, press the apples to release any held juices from the pulp. Line a fine sieve with cheesecloth and strain the apples and juice into a large container or jug. Serve warm with added slices of lemon and apples for decoration. Or, chill down for a cold drink. The cider will keep in the refrigerator covered for five days, or pour into a sealed container and freeze for up to six months. Making the apple cider on the top of the stove is the same method, except using a large stockpot or Dutch oven. Bring the apples to the boil then reduce the heat to a slow simmer. The apples will only take 2 to 3 hours to break down as opposed to the 6 in the slow cooker. Proceed as above. Apple cider is a non-alcoholic drink and should not be confused with British cider which contains alcohol. If you want to spike up your homemade apple cider, then add in a little dark rum, red wine or a dash of Calvados to taste after cooking the apples.